Tammy Boehms oversees all financial activities of NFIB and affiliated companies including federal and state campaign/election compliance. Additionally, she oversees the administrative support departments which include Information Technology, Human Resources, and Facilities Management. Prior to joining NFIB in 1993, Boehms served as Assistant Vice President for Citicorp Insurance Services, a subsidiary of Citi Group. Prior to that, she was Assistant Controller in the benefits division of Willis Corroon. She has also worked in various financial and auditing positions at American General Life & Accident Insurance Company. Boehms graduated from Tennessee State University and is a certified public accountant. 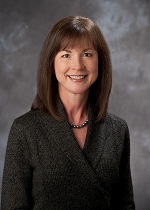 She currently serves on the board of directors for SunTrust Bank – South Region and is an active member of the Nashville Rotary Club, the Tennessee Society of CPAs, and the AICPA.